Shaun Tan's stunning 128-page wordless picture book, first published in hardback in 2006 with sales of over 500,000 copies worldwide including 60,000 in Australia, is now available in paperback. The imaginative and haunting pictures will no doubt attract the attention of art lovers and readers alike, for in this book, the old adage, "A picture paints a thousand words" is truly confirmed. The Arrival is the story all refugees and immigrants will relate to, especially those travelling to a country whose language and lifestyle is completely foreign to them. The differences have been demonstrated by surreal images of strange creatures and modes of transport. The black, white and sepia tones of the illustrations add to the atmospheric effect, and readers will no doubt be stirred emotionally in various ways as they study the pictures and the meaning behind them. The story is broken into 6 chapters which relate to each step the man who has made the journey takes. Glimpses into the man's fears and loneliness and memories of the beloved wife and daughter he has left behind; the kindness of others towards him and the stories of their own lives; the friendships he slowly forms; the correspondence written and then the opportunity to return home and tell his family of the new country which is their future are a few of the impressions I gathered as I studied this amazing artist's work. The Arrival has won many awards including the WA Premier's Prize 2006, CBCA Picture Book of the Year and Australian Children's Book of the Year for Older Children in 2007. 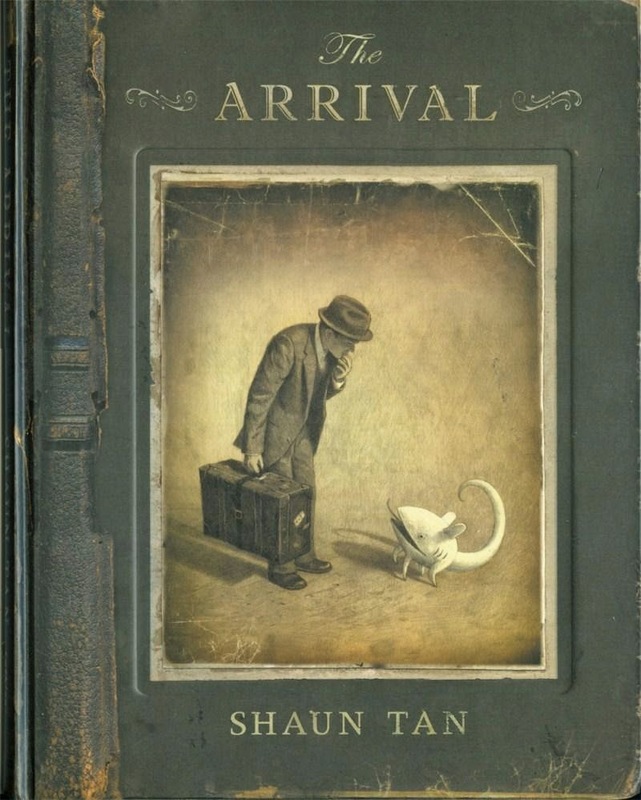 Shaun Tan himself was awarded in 2011 the Dromkeen Medal for services to children's literature and the Astrid Lindgren prize, the world's richest children's literature award. This fascinating and moving picture book is worthy of a place on both adult's and children's book shelves, a book to which a reader will be drawn time and time again.